The State Education Department does not discriminate on the basis of age, color, religion, creed, disability, marital status, veteran status, national origin, race, gender, genetic predisposition or carrier status, or sexual orientation in its educational programs, services and activities. Portions of this publication can be made available in a variety of formats, including braille, large print or audio tape, upon request. Inquiries concerning this policy of nondiscrimination should be directed to the Department’s Office for Diversity and Access, Room 530, Education Building, Albany, NY 12234.
Who is Involved in Decision-Making? Many students with disabilities will require testing accommodations in order to participate in testing programs on an equal basis with their nondisabled peers. Such accommodations provide students with the ability to demonstrate skills and attainment of knowledge without being limited or unfairly restricted due to the effects of a disability. This manual provides information and tools to assist Committees on Special Education (CSEs) and Section 504 Committees in making appropriate decisions for determining needed testing accommodations for individual students with disabilities. The manual also provides policy and guidelines for documenting and implementing testing accommodations for classroom, district-wide and State assessments. This document is intended to be used in conjunction with the School Administrator’s Manuals (http://www.p12.nysed.gov/assessment/manuals/) for all assessments and examinations across the New York State Testing Program. Please contact the New York State Education Department’s Office of Special Education Policy Unit at 518-473-2878 or your Special Education Quality Assurance (SEQA) Regional Office listed in the Additional Information section of this manual if you have any questions regarding testing accommodations. As required under IDEA, all students with disabilities must be included in all general State and district-wide assessment programs, including assessments required under the Every Student Succeeds Act (ESSA), with appropriate accommodations and alternate assessments where necessary and as indicated in their respective individualized education programs (IEPs). IDEA Section (612)(a)(16) also requires the State (or in the case of district-wide assessments, the local educational agency) to develop guidelines for the provision of appropriate testing accommodations and, to the extent feasible, to use universal design principles in developing and administering assessments. As part of the student’s IEP, the Committee on Special Education (CSE) must include a statement of any accommodations that are necessary to measure the academic achievement and functional performance of the student on statewide and district-wide assessments. If the CSE determines that the student is not able to participate in general State and/or district-wide assessments, the IEP must indicate why the State and/or district-wide assessment(s) is not appropriate for the student and why the alternate assessment selected is appropriate. Section 100.2(g) indicates that the Commissioner may approve satisfactory alternative testing procedures for all tests defined in section 100.1 for students identified by the CSE as having a disability. The alternative testing procedures employed shall be based upon a student’s individual needs and the type of assessment administered. School districts and nonpublic schools shall report the use of alternative testing procedures to the Department on a form and at a time prescribed by the Commissioner. Section 100.2(m) outlines the provision for Public Reporting Requirements including State and local report card requirements and comprehensive assessment report by nonpublic schools. Section 100.2(s)(1) requires that students with disabilities have access to the full range of programs and services set forth in the Part 100 Regulations to the extent that such programs and services are appropriate for such students' special education needs. Section 100.2(s)(2) requires that instructional techniques and materials used by schools be modified to the extent appropriate to provide the opportunity for students with disabilities to meet diploma requirements. At each annual review of a student's IEP, the CSE shall consider the appropriateness of such modifications. Section 200.2(b)(11)(iii) requires that each board of education or board of trustees adopt written policy that establishes administrative practices and procedures that ensure that the chairperson of the committee on special education designates for each student one, or as appropriate, more than one professional employee of the school district with knowledge of the student’s disability and education program to, prior to the implementation of the IEP, inform each regular education teacher, special education teacher, related service provider, other service provider, supplementary school personnel, as defined in section 200.1(hh) of this Part, and other provider and support staff person of his or her responsibility to implement the recommendations on a student’s IEP, including the responsibility to provide specific accommodations, program modifications, supports and/or services for the student in accordance with the IEP. Section 200.2(b)(13) requires that each board of education or board of trustees adopt written policy that establishes administrative practices and procedures that describe the guidelines for the provision of appropriate accommodations necessary to measure the academic achievement and functional performance of the student in the administration of district-wide assessments. Section 200.4(d)(2)(vi) requires that the IEP provide a statement of any individual testing accommodations to be used consistently by the student in the recommended educational program and in the administration of district-wide assessments of student achievement and, in accordance with Department policy, State assessments of student achievement that are necessary to measure the academic achievement and functional performance of the student. Section 200.4(d)(2)(vii) requires that if the student will participate in an alternate assessment on a particular State or district-wide assessment of student achievement, the IEP shall provide a statement of why the student cannot participate in the regular assessment and why the particular alternate assessment selected is appropriate for the student. Section 200.4(d)(2)(v)(b)(6) requires that the recommended programs and services in a student’s IEP indicate any assistive technology devices or services needed for the student to benefit from education. Section 200.4(e)(3)(iii) requires that the school district shall ensure that the recommendations on a student’s IEP, including changes to the IEP made pursuant to subdivision (g) of this section, are implemented, including but not limited to ensuring that each regular education teacher, special education teacher, related service provider, other service provider, supplementary school personnel as defined in section 200.1(hh) of this Part, and other provider and support staff person has been informed, prior to the implementation of the IEP, of his or her responsibility to implement the recommendations on the student's IEP, including the responsibility to provide specific accommodations, program modifications, supports and/or services for the student in accordance with the IEP. Section 200.4(f)(2)(iv) requires that, during an annual review of a student’s IEP, if appropriate, the IEP must be revised to address matters including a student’s need for test accommodations and/or modifications and the student’s need for a particular device or service (including an intervention, accommodation or other program) in consideration of the special factors contained in paragraph (d)(3) of this section in order for the student to receive a free appropriate public education. Students with disabilities must have access to and participate in the general education curriculum and in courses that will prepare them to take and pass the required examinations. As determined by the CSE and indicated in the student’s IEP, students with disabilities must be provided the necessary services and supports, supplementary aids and services, and accommodations to participate and make progress in the general education curriculum. This opportunity must be available to students regardless of their educational placement (public school district, charter schools, BOCES, State-approved private school, State-operated and State-supported school or Special Act School District). Testing accommodations are changes in testing materials or procedures that enable students to participate in assessments in a way that assesses abilities rather than disabilities (footnote 1) . The purpose of testing accommodations is to enable students with disabilities to participate in assessment programs on an equal basis with their nondisabled peers. Testing accommodations provide an opportunity for students with disabilities to demonstrate skills and attainment of knowledge without being limited or unfairly restricted due to the effects of a disability. Testing accommodations promote the access of students with disabilities to assessment programs, as well as to more challenging courses and programs. The student’s individual needs must drive the recommendation for testing accommodations, and testing accommodations should alter the standard administration of the test to the least extent possible. changes in the method of response. use of a calculator on a test of the student's computational skills. When making decisions regarding appropriate testing accommodations for an individual student with a disability, it is critical that CSEs and Section 504 Committees consider the distinction between accommodations and modifications. It is also important for the CSE or Section 504 Committee to be familiar with the purpose and construct of the tests administered because certain accommodations may become modifications, depending on the purpose of the test. Computer-Based Testing (CBT) Tools. CBT delivery systems, such as those used by all schools with the New York State Alternate Assessment (NYSAA) and by some schools with the Grades 3-8 ELA and Mathematics Tests, often include tools that are generally available to all test takers and aid the students in accessing the online test materials. Features such as answer eliminator, zoom, and line reader are embedded in the testing platform of some computer-based testing environments and may be selected by any student during testing. It is not necessary for a CBT tool that is available to all test takers to be identified as a testing accommodation on a student’s IEP. CBT Accommodations Features. CBT delivery systems often also include accommodations features that may help individual students with disabilities to better access the test materials in an online testing environment. With the New York State tests, such features include answer masking, reverse contrast, and text-to-speech. The use of CBT accommodations features must be listed as testing accommodations in the student’s IEP and must be activated for the student by the school’s testing coordinator prior to the first day of testing. For both CBT tools and accommodations features, students should be given practice that enables them to become familiar with the use of specific CBT tools and accommodations features prior to the students accessing them during an actual test. Use of a CBT tool or accommodations feature during State testing without sufficient practice beforehand may have a negative effect on a student’s test performance. NYSED’s Office of State Assessment provides additional information on CBT tools and CBT accommodations features specific to NYSAA (http://www.p12.nysed.gov/assessment/nysaa/) and New York State’s Grades 3-8 English Language Arts (ELA) and Mathematics Tests (http://www.p12.nysed.gov/assessment/manuals/). The New York State Testing Program is designed to evaluate the implementation of New York State’s Learning Standards at the student, school, district, and State levels. In carrying out its responsibilities, the Office of State Assessment develops and administers tests that are aligned with the New York State Learning Standards, and are consistent with State and federal mandates. Elementary- and Intermediate-Level Assessments: Assessments in English Language Arts (ELA) and mathematics are administered annually to students in Grades 3-8, and assessments in science are administered in Grade 4 and Grade 8. Secondary-Level Examinations: Regents Exams (footnote 2)are administered at the secondary level and are designed to measure the achievement of students who have had instruction based on curriculum aligned with the commencement-level learning standards. In order to graduate through a specific Pathway, such as Career and Technical Education (CTE), some students may participate in an industry-based technical assessment. Additional information on the Multiple Pathways to graduation, including required assessments, visit NYSED’s Office of Curriculum and Instruction webpage (http://www.p12.nysed.gov/ciai/multiple-pathways/). The New York State Alternate Assessment (NYSAA): The NYSAA measures attainment of the State’s learning standards across multiple subject areas in Grades 3-8 and high school for all students determined to have severe cognitive disabilities. English Language Proficiency Assessments: There are two assessments in New York State in the area of English Language Proficiency. The purpose of the New York State Identification Test for English Language Learners (NYSITELL) is to assess the English language proficiency level of new students whose home or primary language is other than English. A student’s score on the NYSITELL will determine if he or she is entitled to receive English Language Learner (ELL) services and will determine the level of English language support and the level of home language instruction for students in bilingual education programs. The New York State English as a Second Language Achievement Test (NYSESLAT) is designed to annually assess the English language proficiency of all English Language Learners/Multilingual Learners (ELLs/MLLs) enrolled in Grades K–12 in New York State schools. The test provides the State and schools with important information about the English language development of ELLs/MLLs, and is part of the State’s compliance with federal laws that mandate the annual assessment and monitoring of the English language proficiency of all ELLs/MLLs. All State assessments and examinations will serve as important measures of student progress. Testing accommodations for State and local assessments must be provided as documented in a student’s IEP/504 plan and in accordance with Department guidelines. However, the use of testing accommodations allowable for CTE industry-based assessments, and the types of testing accommodations provided, is determined by the entities creating those assessments. A list of such assessments is available on NYSED’s Office of Career and Technical Education webpage (http://www.p12.nysed.gov/cte/tradeandtech/tradeandtechassessments.html). if a test score is used to inform any decisions about supports/services for students (e.g., academic intervention services (AIS)). Information about the content and administration of State assessments can be found on NYSED’s Office of State Assessment webpage (http://www.p12.nysed.gov/assessment/). For students who have been identified as a student with a disability under one of the disability categories listed in section 200.1(zz), the CSE (footnote 3) is responsible for identifying and documenting the appropriate testing accommodations for individual students. This must be documented in the student’s IEP. These determinations are made when the student is initially determined eligible for special education services and must be reviewed and, if appropriate, revised at least once each year. For students identified as having a disability under Section 504 of the Rehabilitation Act, the Section 504 Committee determines the appropriate testing accommodations for individual students. Documentation of testing accommodations must be included in the student’s 504 plan. Student: Students, when appropriate, are members of the CSE or 504 Committee and may provide valuable information to drive the consideration of testing accommodations. They can provide information on their strengths and challenges, as well as feedback on the accommodations they use for instruction. the types of testing accommodations and how they are administered. General Education Teacher: General education teachers are familiar with curriculum content and the purpose of State and district-wide assessments and examinations. Therefore, as a member of the CSE or Section 504 Committee, the general education teacher has a significant role in the determination and use of testing accommodations for students with disabilities. Ensuring that students with disabilities have full access to the programs and services that are available to their nondisabled peers often requires that general education teachers, in collaboration with special education teachers, provide appropriate instructional and testing accommodations. The results of assessments assist teachers by providing information about what areas to focus instruction to enable the individual student to achieve the learning standards. The testing accommodations listed in the student’s IEP/504 plan must be consistently provided in the classroom. To accomplish this, teachers must be familiar with the different types of accommodations and how to implement them. Special Education Teacher: As a member of the CSE, the special education teacher plays an important role in providing information on how to match the specific needs of the student with a disability to appropriate testing accommodations that will ensure that the student is able to demonstrate his/her knowledge and skills without being limited or unfairly restricted by his/her disability. In collaboration with general education teachers and related service providers, special education teachers assist in recommending and implementing appropriate instructional accommodations used in the classroom. These will serve as a link to the types of testing accommodations a student may need for classroom, State, and district-wide tests. School Psychologist and Related Service Providers: School psychologists and related service providers are often involved in evaluating students with disabilities to determine their eligibility for special education programs and services. Additionally, related service providers often work closely with students with disabilities on specific skills and frequently assess students on their progress with IEP goals and objectives. These evaluations and assessments may provide valuable information to inform appropriate recommendations on testing accommodations tailored to the unique needs of each student. Individual with a Bilingual Extension or Certification as a Teacher of English to Speakers of Other Languages: When the CSE meets to make recommendations regarding a student who is an ELL/MLL, the school district is responsible for ensuring that the CSE include personnel with knowledge of second language needs and how these needs relate to the student’s disability (i.e., an individual with a bilingual extension or certification as a teacher of English to Speakers of Other Languages). When deciding which testing accommodations a student should receive to address needs related to his/her disability, the CSE should consider testing accommodations allowed for all ELLs/MLLs and Former ELLs/MLLs (e.g., extended time, bilingual glossary, or translation software). Principals are responsible for ensuring that testing accommodations are fully, consistently, and appropriately implemented during the administration of local and State assessments, as specified in each student’s IEP/504 plan to the extent consistent with State policy. There may be certain circumstances under which a principal may authorize testing accommodations on State assessments for a student who has recently incurred an injury or disability shortly before the test (see page 15.) Principals should be familiar with the policies and procedures included in the School Administrator’s Manuals posted by the Office of State Assessment (http://www.p12.nysed.gov/assessment/manuals/). School district policy should identify the procedure by which principals will receive information on students’ testing accommodations. provide an accurate measure of the standards being assessed, so that appropriate instruction and services can be provided. results of classroom, district-wide, and State assessments. Is the student able to meaningfully participate in the standard administration of the assessment? In order to participate, does the student need an accommodation in any of the following aspects of test administration? To what extent does the student’s disability impede his/her demonstration of the knowledge required by the test? What instructional accommodations, if any, are provided to the student in the classroom? What accommodation(s) focus on removing the obstacles to equal participation that are a result of the student’s disability? What accommodation(s) will facilitate participation that enables the student to be as independent as possible? Will the accommodation reduce learning expectations or change what the test is intended to measure? changes in method of student’s response, such as use of word processing software on a computer device or providing answers orally rather than written. Not all accommodations used during instruction are appropriate for use during State assessments. Example: The use of word banks for classroom assignments is not allowed for State assessments. in the administration of State assessments of student achievement, consistent with NYSED policy. Specific testing accommodations (e.g., use of word processor) should be indicated, not generic test accommodation categories (e.g., answers recorded in any manner). A particular test accommodation may also be needed due to and in conjunction with the provision of another accommodation. For example, separate setting may be needed when the student has the use of a scribe. In such instances, both accommodations must be indicated in the IEP/504 plan, and qualifying conditions would be indicated, as appropriate. The purpose of clarifying the conditions of the test is to ensure that test accommodations are not provided excessively or when not appropriate to the purpose or type of test. Such conditions may include the length of the test, the purpose of the test, presentation of test items, and the method of response required by the student. It is generally not appropriate to indicate testing accommodations in a test-specific manner, such as “use of scribe on the Regents Examination in English.” Additionally, using general qualifying terms (e.g., “as needed,” “when necessary,” or “when appropriate”) may lead to confusion or inconsistency in implementation and should be avoided. Examples: a student with a motor impairment may need a scribe for tests requiring extensive writing, such as essay writing, but not for multiple-choice tests; or a student may need breaks at certain intervals for tests longer than an hour in length but not for 40-minute classroom tests. Such recommendations may include (but are not limited to) the amount of extended time; duration of breaks; individual or small group when testing in a separate setting; or specific equipment or assistive technology appropriate to implement an accommodation. Student may dictate into a recording device. A list of the accommodations that were authorized by the principal. If the student is expected to continue to need testing accommodations, the principal should immediately make the appropriate referral to the CSE or Section 504 Committee for the development of an IEP or 504 plan, as appropriate. each individual is informed of his or her IEP/504 plan implementation responsibilities. For students whose IEPs/504 plans indicate testing accommodations, building principals must ensure that testing accommodations are consistently and appropriately administered for all classroom tests/quizzes, district-wide assessments, and State assessments. There should be a mechanism in place for communicating the need for testing accommodations to substitute teachers and test proctors, when necessary. Careful planning prior to the scheduled testing date will ensure that accommodations are appropriately implemented as specified in the student’s IEP/504 plan. Among the considerations in this planning process are identification and training of all individuals responsible for implementing the testing accommodations and preparation of specialized materials and/or testing locations. Many computer-based testing platforms allow for certain testing accommodations to be provided within the testing platform, itself (e.g., text-to-speech). Such testing accommodations options need to be identified and coded in the computer-based testing platform prior to testing. Schools must work with the test coordinator to verify that online testing accommodations are selected for the applicable students before testing begins. provides the tools necessary to correctly implement testing accommodations. Training is also available from NYSED’s Office of Special Education Regional Special Education Technical Assistance Support Centers (RSE-TASC) (http://www.p12.nysed.gov/specialed/techassist/rsetasc/home.html). Each RSE-TASC includes regional specialists who provide training and technical assistance on special education compliance and effective practices to groups of school districts across the region. Testing accommodations should not be provided for the first time during a State examination. It is expected that the student has had adequate experience with certain testing accommodations prior to using those accommodations on a State test. This is especially important when using adaptive tools, specialized equipment, or assistive technology devices or when provided accommodations that involve specific procedures, such as use of a scribe or tests read aloud. Testing accommodations must be provided across all placement settings (special class, general education class, etc.) and are not restricted to the traditional school year. Students receiving extended school year services or students with disabilities participating in general education summer school programs must be provided the testing accommodations on their IEP/504 plan. The school district or BOCES operating the extended school year or general education summer school program is responsible for the continued implementation of testing accommodations included in the student’s IEP/504 plan. In the cases of diagnostic testing or district-wide screenings, providing certain accommodations may result in invalid scores, thereby affecting the student’s identification for subsequent services. For diagnostic testing (e.g., testing used for the purposes of determining eligibility for special education programs and services), the manner in which certain procedures or instruments are administered to an individual student (with and/or without testing accommodations) is at the discretion of the evaluator since the purpose of the test is diagnostic. Based on section 200.4(b)(6) of the Regulations of the Commissioner of Education, if an individual assessment is not conducted under standard conditions, a description of the extent to which it varied from the standard conditions (e.g., the qualifications of the person administering the test, or the method of test administration) must be included in the evaluation report. The effect of certain accommodations on district-wide screening tools (e.g., tests read on tests measuring decoding, extended time on tests measuring fluency) must also be understood by individuals involved in administering such tools to students with testing accommodations documented in an IEP/504 plan. In some instances, a student may refuse or ask to waive testing accommodations for a local or State assessment. School officials should remind the student of the reasons for the specific testing accommodations. However, if such action is not effective in changing the student’s position, school officials should administer the test without accommodations and document the incident, notify the parent(s), and consider the appropriateness of additional counseling or a review of the student’s IEP/504 plan by the CSE/Section 504 Committee. In such cases, if the answer document requires the school to indicate test accommodations provided, the teacher should indicate only those actually used by the student. Involving the student from the beginning, as appropriate, in discussions and decisions regarding testing accommodations may help to avoid such circumstances. Please refer to Appendix I: Sample Student Accommodation Refusal Form. The National Center on Educational Outcomes (NCEO) provides national leadership in designing and building educational assessments and accountability systems that appropriately monitor educational results for all students, including students with disabilities and ELLs/MLLs. Additional information on testing accommodations is available on NCEO’s website (https://nceo.info/Assessments/general_assessment/accommodations). Christensen, L., Carver, W., Andesine, J., & Lazarus, S. (2011). Accommodations manual: How to select, administer, and evaluate the use of accommodations for instruction and assessment of students with disabilities (3rd ed.). Washington, DC: Assessing Special Education Students State Collaborative on Assessment and Student Standards, Council of Chief State School Officers. Shyyan, V., Thurlow, M., Christensen, L., Lazarus, S., Paul, J., and Touchette, B. (2016). CCSSO accessibility manual: How to select, administer, and evaluate use of accessibility supports for instruction and assessment of all students. Washington, DC: CCSSO. 1. Is there any limit to the types of testing accommodations that may be included in a student’s IEP or 504 plan? No. Based on the student’s needs, a range of testing accommodations may be included in an IEP or 504 plan. 2. Is there a limit to the amount of extended time a CSE/Section 504 Committee may recommend for a student with a disability? No. However, the ability of the student to maintain optimal performance during long periods of test-taking must be considered when the CSE determines how much extended time should be provided. 3. How are testing accommodations recommended for students taking the NYSAA, which is administered in a computer-based testing environment? A student’s IEP must clearly document all testing accommodations including accessibility supports that will be provided to the student when participating in the NYSAA. This will foster appropriate decision-making prior to testing, and it will support consistency in implementation during testing. The supports that a student requires in instructional environments may be used to inform decisions on appropriate accessibility features to document in the student’s IEP. Additionally, school personnel are encouraged to provide the student opportunities to access practice test items that use accessibility features in order to inform decision-making and student familiarity regarding the use of these features. Additional information on the NYSAA, including practice test items, is available on the Dynamic Learning Maps website (http://dynamiclearningmaps.org/). 4. Is it appropriate to use general qualifying terms when documenting testing accommodations in a student’s IEP/504 plan, such as “as needed,” “when appropriate,” or “when necessary”? No. Documentation should include the conditions or types of tests in which a testing accommodation is to be provided, as well as any relevant specifications required for appropriate implementation. Using general qualifying terms without providing additional implementation specifications may lead to confusion or inconsistency in implementation and should be avoided. If it is determined that the student needs a particular testing accommodation for all tests, then qualifying conditions are not indicated or would indicate “all tests.” For example, if the IEP/504 plan states “use of scribe,” with no testing conditions specified, this would indicate that the accommodation is to be provided for all tests regardless of the amount of writing that is required. 5. What is the process for considering and recommending “tests read” for students with disabilities in the elementary and intermediate grade levels? Please refer to Appendix F for guidance on appropriately recommending and documenting this accommodation for students in Grades 3-8. 6. Should “questions read” be indicated as a testing accommodation in the IEP/504 plan, which would mean that only questions are read to the student? Generally, no. The passages and multiple-choice items with those questions are considered part of the question. Therefore, to ensure a common understanding by teachers, parents, and students, and the appropriate implementation of this accommodation, the IEP/504 plan should indicate this accommodation using phrasing such as, “tests read” or “tests read aloud.” School personnel should understand that such an accommodation includes reading of passages, questions, items, and multiple-choice responses to the student on tests and quizzes in accordance with the specifications in a student’s IEP/504 plan. 7. Should the CSE or Section 504 Committee specify in an IEP/504 plan whether “tests read” should exclude tests of reading comprehension for a high school student who will be participating in Regents exams or Regents Competency Tests (RCTs)? The testing accommodation “tests read” is permissible on all Regents Examinations (including ELA) and all RCTs (including Reading) for students with disabilities who have that accommodation documented in an IEP/504 plan. In some cases, the Committee may determine that this exception is appropriate to the unique needs of an individual student. 8. May a student’s IEP/504 plan indicate that the student reads tests aloud to himself or herself? Yes. In order to provide this accommodation to a student, it is likely that the student will also need testing in a separate location specified in his or her IEP/504 plan. 9. Are text-to-speech, speech-to-text, and word-prediction software programs allowable testing accommodations on State assessments? Yes. Text-to-speech, speech-to-text, and word-prediction software programs are allowable testing accommodations on State assessments at the elementary, intermediate, and secondary grade levels if documented as a testing accommodation (or implementation specification for a testing accommodation) in a student’s IEP/504 plan, as indicated in the chart in Appendix J: Allowable Accommodations across the New York State Testing Program. When using such software to implement testing accommodations on State assessments, the student must not have access to any unauthorized features, such as the internet, a dictionary, or a thesaurus. Speech-to-text and word prediction software programs are considered to be changes in the method of response. Changes in the method of response do not require a request to reformat. A student who uses this technology to implement testing accommodations must use a school-provided device during State testing. When word processing using word-prediction or when dictating using speech-to-text software on a State assessment, the school must print the student’s response and staple the response to the test booklet. If a student using such accommodations is participating in computer-based State testing, the student’s exact responses must be entered into the computer-based testing platform by a test proctor or appropriate school staff. 10. Can a paper test be recommended as a testing accommodation for students with disabilities who would otherwise be expected to participate in computer-based State testing? Yes, if appropriate to the needs of the student and if necessary to implement other testing accommodations (e.g., use of a human reader to implement “tests read”). 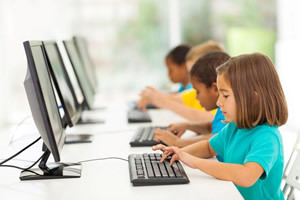 If a student with a disability who would otherwise be participating in computer-based testing is recommended to use a paper test in accordance with IEP/504 plan recommendations, the paper version of the test must be requested by contacting the Office of State Assessment. 11. Is the use of “word banks” an allowable accommodation on State assessments? No. For State assessments, the use of a word bank is considered a non-allowed testing modification. The use of word banks in teacher-made tests would be left up to the discretion of the student’s teachers, since they know the skills they are intending to measure and how this would affect the validity of the test. Only those standardized reference materials specifically permitted or provided by the Department are allowable for use by students taking State assessments. Word banks are not authorized reference materials; their availability during the administration of a State examination may invalidate the student’s test. 12. When may the use of a “spell check device/software” be implemented as an accommodation on State assessments? A “spell check device/software” may be used as a testing accommodation on any State assessment or Regents Examination in accordance with the testing accommodations recommendations documented in the student’s IEP/504 plan. For students with disabilities who participate in the Grades 3-8 ELA Tests, the recommendation for this testing accommodation on all tests (which would include the Grades 3-8 ELA Tests) is appropriate only for students with disabilities that severely limit their ability to spell words while writing/typing. A recommendation for a “spell check device/software” as a testing accommodation for students in grades 3-8 should be informed by evaluative information indicating that, even after explicit, systematic, and research-based spelling instruction, the student’s disability precludes or severely limits his/her ability to spell words, including words at the early stages of spelling skill development. 13. In order to implement certain accommodations, the need for additional accommodations may need to be recommended. An example is the need for “separate location” when a student uses a scribe. Does the IEP/504 plan need to indicate separate location, or can this be provided at the school’s discretion? The CSE/Section 504 Committee must anticipate such consequences and must indicate in the IEP/504 plan all such accommodations. Accommodations used in the administration of State assessments to students with an IEP/504 plan may not be devised or put into effect outside of the specifications and requirements directly stated in the student’s IEP/504 plan. 14. What types of calculators are not permitted to be used by students when taking Regents Examinations? Under no circumstances may calculators with symbol manipulation be made available to students taking Regents Examinations. In addition, calculators that can communicate with other calculators through infrared sensors or any other method of transmission are not permitted. The use of operating manuals, instruction or formula cards, or other information concerning the operation of calculators is also not permitted during the examinations. Additional information on the use of calculators on secondary-level examinations may be found in the School Administrator’s Manual for Secondary-Level Examinations available on the Office of State Assessment’s webpage (http://www.p12.nysed.gov/assessment/manuals/). 15. Are students permitted to have sheets of mathematical formulas for use on State assessments? Please refer to the most current School Administrator’s Manuals for elementary-, intermediate-, and secondary-level examinations available on the Office of State Assessment’s webpage (http://www.p12.nysed.gov/assessment/manuals/). 16. If a student’s handwriting is illegible, can a scribe be used to rewrite the student’s response? 17. What type of accommodations are permitted for a student with a disability who is unable to independently manipulate objects during science performance assessments (required labs) due to physical or other impairments? In general, the types of instructional accommodations provided in the classroom will be permitted as a testing accommodation if indicated in the IEP/504 plan. This includes the use of an aide who will manipulate objects as directed by the student. It is especially important that the student and aide have experience in using this accommodation during instruction and classroom tests. 18. What types of testing accommodations may be considered for students in physical education? 19. How is “tests read” administered to students with disabilities as a testing accommodation on State tests? Please see Appendix F: Recommending and Administering Tests Read. 20. What are the procedures for the use of text-to-speech programs or audio playback devices as testing accommodations when administering State assessments? 21. Is it permissible to read information to a student more than once when State assessments are being read? Yes. For a student who has the accommodation of tests read, questions, passages, and/or directions may be reread to the student, should the student indicate to the reader the need to have an item re-read or repeated during testing. 22. Is it permissible to simplify questions when State assessments are being read? No. This is not permissible on State assessments, as it would invalidate the examination. However, on teacher-made tests or quizzes, the teacher can make a determination as to whether and the extent to which any clarification may be provided without compromising test validity. Only clarification or simplification of directions is permitted on State assessments when required by the IEP/504 plan. 23. Can questions or multiple-choice answer options be deleted on a State assessment? No. Individual items or answer options may never be modified or eliminated. 24. Is revised test format (other than Braille or large type) an allowable accommodation on State assessments? If so, who is responsible for revising the test format? If the student’s IEP/504 plan requires a revised test format on State assessments, the principal is responsible for implementing this accommodation. Changes in test format, such as only one item on a page, increased spacing between items, changing size or shape or location of space for answers, etc., can be made by the school. A request to make these types of format changes must be submitted to and approved by the Office of State Assessment. Information on the requirements for submitting reformatting requests is available in Section IV: Implementing Testing Accommodations of this document. 25. May teachers or test proctors implement certain testing accommodations recommended in an IEP/504 plan at their discretion? No. All testing accommodations recommended in an IEP/504 plan must be consistently implemented on all State and classroom tests/quizzes in accordance with the testing conditions and implementation recommendations documented in the student’s IEP/504 plan. 26. How should the student’s responses be recorded for State assessments if the student’s IEP/504 plan accommodations include “use of scribe,” “use of recording device,” “use of word processor,” or “speech-to-text software”? Teachers should indicate in writing on the test booklet whether the student used a scribe, recording device, word processor, or speech-to-text software. If a student uses a word processor or speech-to-text software, the printed answers must be stapled to the test booklet. For students using scribes, recording devices, large type, or braille editions, responses must be transcribed onto regular test answer documents and test booklets (or entered into the computer-based testing platform) exactly as dictated or recorded. 27. Can a scribe use a word processor to record the student’s responses? Yes. The student’s responses typed by the scribe should include the student’s name. The student’s response typed by the scribe must be printed out and attached to the test booklet. 28. Can a scribe read a student’s dictated responses back to the student? A scribe may read a student’s dictated responses back to the student if the student is provided read aloud testing accommodations or if the student is blind or visually impaired. 29. If a student has the testing accommodation of recording answers directly into the booklet, should the teacher transcribe the student’s responses to the multiple-choice questions onto the answer sheet? 30. When implementing the accommodation of “extended time,” must the student remain in a testing space for the full amount of time, even when the student has confirmed that he/she has completed the test and is prepared to submit test materials? No. Schools must ensure that students who have “extended time” recommended as a testing accommodation in an IEP/504 plan are provided the full amount of their extended time. If a student who receives extended time has completed testing and is ready to submit materials, determinations on whether the student may leave the testing space are typically determined locally. For State tests, all test administration practices must comply with the provisions in the School Administrator’s Manual for each respective test (http://www.p12.nysed.gov/assessment/manuals/). 31. Is it permissible for students with disabilities whose IEP/504 plan specifies “extended time” to begin a State test earlier in the day than the general administration time? Yes. Adjustments to the starting time of State assessments may be made solely at the discretion of the principal and do not need to be specified in the IEP/504 plan. However, Department policy governing the Uniform Statewide Admission Deadlines, which are delineated in the School Administrator’s Manual for Secondary Level Examinations (http://www.p12.nysed.gov/assessment/manuals/home.html) must be observed even in the case of students with disabilities. The purpose of these deadlines is to eliminate any possibility of the exchange of information between students at different examination centers. 32. For students with disabilities who have “breaks” recommended as a testing accommodation, are those breaks included in the student’s overall testing time? Breaks are provided in addition to the student’s overall testing time. For example, a student with a disability may be recommended for testing accommodations that include extended time double the length of the standard administration period and a 10-minute break after 30 minutes of testing. If the student is taking a test for which all students have 40 minutes to complete the test, he or she would have 80 minutes to complete his or her test. In addition to being provided 80 minutes of testing, the student would be provided two 10-minute breaks in accordance with the recommendations in his or her IEP/504 plan. 33. If a student’s IEP or 504 plan documents multiple-day administration of State assessments, and the student has more than one examination in a single day, must he or she begin each examination on the day scheduled for all students? Yes. Each examination must begin on the day scheduled for its administration, and the student must complete at least one section of each examination begun on a given day. On subsequent days of multiple-day testing, the student is not permitted to resume work on a section that was begun on a previous day and may never alter responses made on a previous day. On a section-by-section* basis, an additional day or more may be provided for completion of the remaining sections of the examination. Students may be provided only a photocopy of the sections they completed on a previous day (photocopied by the school), so that they have access to all information on the test. For more information on administering tests over multiple days, see Appendix H.
* The Department does not define the size or contents of a “section” for the purposes of multiple-day testing. Decisions on how to divide a test for a student with a disability receiving multiple-day testing are made locally. 34. Must a separate setting be a separate room, or can a student be in the same room as other students, but in a section away from the group? Separate setting means a student is administered the test in a separate room apart from the standard setting being used to administer the test. The student can be administered the test individually or in a small group. Small group or individual test administration must be specified in the IEP/504 plan. 35. If a student who is deaf or hard of hearing is provided the use of a scribe through a sign language interpreter, does the interpreter translate the student’s signed response into standard English for the scribe? Yes. However, for the Grades 3-8 ELA Tests, it would be expected that only students who are deaf or hard of hearing who may have additional disabilities that preclude them from writing their own responses would be using a scribe through a sign language interpreter to respond to questions measuring a student’s writing skills. 36. What form of sign language may be used when providing testing accommodations? Students who use sign language due to being deaf or hard of hearing may use any form of sign language (American Sign Language, Signing Exact English, fingerspelling, etc.). Forms or dialects of sign language from areas in which a language other than English is the primary language (e.g., “Puerto Rican dialect of Spanish sign language”) are not allowed on tests of English language proficiency, except as interpretation of directions is allowed. 37. Can the Grades 3-8 ELA Tests be signed to students who are deaf or hard of hearing? Yes, as appropriate to the unique needs of the student. If a student is deaf or hard of hearing and there is evidence that the student’s disability precludes or severely limits his or her ability to decode printed text (possibly due to other co-occurring disabilities or long-term language deprivation in early childhood), then the CSE may consider recommending that a sign interpreter translate text for the student as a testing accommodation. 38. Is it permissible to highlight or use colored pencils on graphs on State assessments to make a graph or illustration more visible for a student with visual impairments? Yes. This is permissible only if indicated in the student’s IEP/504 plan as a testing accommodation needed in order to enhance the contrast on the item for the student or to help distinguish art from text. In this case, the entire graphic must be highlighted or colored, so that the student’s attention may not be drawn to a particular element presented in the graph or illustration. Please note: schools may permit students to use highlighters when taking State assessments. Proctors must monitor student use of highlighters to ensure that they are not being used by students to record their responses to questions that must be answered in pencil and that the use of the highlighters does not obscure the students' responses to open-ended questions. 39. What is the procedure for obtaining braille or large type editions of State assessments? The school principal may indicate the need for large type or braille editions in the Online Examination Request System prior to each examination period. Schools are cautioned to observe the published deadlines for all examination requests, but especially for braille editions, which are produced on an as-needed basis. 40. Does the Department delete items that cannot be reproduced in braille? On occasion, the Department will revise a test question on the braille edition of a State assessment to make it accessible to braille readers. When it is impossible, even with revision, to make a test question accessible, the Department will replace the item with another item measuring a similar skill. When this occurs, the Department provides special instructions for scoring the affected braille edition. 41. Is it permissible to use templates or graph paper as a testing accommodation for State assessments? Yes. Templates and graph paper enable some students to maintain their place or record answers. 42. What types of accommodations are permitted for a student with a visual impairment who is unable to see specimens/objects or see through a microscope during science labs, while taking the Grades 4 and 8 Science performance assessments, or during other science class activities or assessments? In general, the types of instructional accommodations provided in the classroom that are used to enable the student to learn will be permitted as a testing accommodation if indicated in the IEP/504 plan. This includes assistive technology devices, or the use of an aide who will describe to the student what is seen. If a human aide is used in this case, the student will draw conclusions and analyze verbal data to make a response. Students must have instruction and practice in using this accommodation during instruction, classroom, and State tests. Aides must receive training and experience to appropriately implement this accommodation. 43. Are there special considerations when providing the testing accommodation, “use of a scribe” or “use of recording device” for students who are blind? Yes. Students who are blind are not required to provide capitalization, punctuation, and/or paragraphing when using the testing accommodation “use of a scribe” or “use of recording device.” For additional guidance on the use of a scribe, see Appendix G.
44. What types of testing accommodations may be provided to students with disabilities who are ELLs/MLLs? All students who are ELLs/MLLs are entitled to certain testing accommodations during the period of time that they are identified as ELL pursuant to Part 154 of the Regulations of the Commissioner and for up to two years immediately after they have achieved proficiency in English on the NYSESLAT alone or in combination with other criteria. For students with disabilities who are also ELLs/MLLs, it is the responsibility of the CSE/Section 504 Committee to identify in the student’s IEP/504 plan any individual testing accommodations needed by the student because of his or her disability, which may include, but are not limited to, the same testing accommodations that the student is entitled to as an ELL/MLL or Former ELL/MLL student. The NYSESLAT is New York State’s test of English language proficiency. It is designed specifically to assess the English language proficiency of ELLs/MLLs. Therefore, some testing accommodations ordinarily permitted for ELLs/MLLs taking other State tests (e.g., a bilingual glossary) are not permitted for the NYSESLAT. However, if a student with a disability who is also an ELL/MLL is participating in the NYSESLAT, he/she would be provided the testing accommodations specified in his/her IEP/504 plan to meet the student’s disability-related needs as consistent with Department policy. Policies on testing accommodations for students with disabilities and ELLs/MLLs participating in State assessments may be found in the School Administrator's Manual for each respective State assessment (http://www.p12.nysed.gov/assessment/manuals/). 45. Can the testing accommodation “tests read” be provided to students with disabilities for the Reading questions on the NYSESLAT? Beginning with the 2017 administration of the NYSESLAT, students with disabilities whose IEPs/504 plans document that tests be read aloud (by way of human reader or technology) must be provided this testing accommodation in accordance with the specifications in the IEP/504 plan for all sections of the NYSESLAT including Reading. Recommending the accommodation of “tests read” on all tests for students in the elementary and intermediate grades is typically appropriate for those students who have disabilities that preclude or severely limit the ability to decode or access print. Recommending the “tests read” accommodation for all tests, including tests primarily assessing reading comprehension (e.g., the Reading section of the NYSESLAT), may not be appropriate for students with mild or moderate reading disabilities who may be provided the “tests read” accommodation on other sections of the NYSESLAT (e.g., Listening, Speaking, and Writing). Providing read-aloud accommodations for students who do not need them may have a negative effect on such students’ test performance, and, in the case of the NYSESLAT, may affect a student’s identification for subsequent services. For more information on recommending and implementing “tests read,” please refer to Appendix F.
46. If testing accommodations such as, “use of spell checking device” or “tests read” are recommended in the student’s IEP/ 504 plan, should these skills continue to be a part of that student’s instruction? Yes. Testing accommodations allow students with disabilities to demonstrate their content knowledge in all subject areas by reducing the barriers caused by a disability. Testing accommodations do not replace the need for high-quality instruction and assessments for students who receive accommodations in certain areas. Spelling and reading skills are a part of the State’s learning standards and must continue to be a part of the student’s instruction. For students who are provided accommodations such as “tests read” or “use of spell-checking device,” schools must consider and recommend, as appropriate, services and supports designed to improve the student’s foundational reading and spelling skills. Goals should also be developed to address the student’s reading and spelling challenges. 47. Are graphic organizers permitted on State assessments? Only the blank shell of a graphic organizer would be permitted. There must be no words, directions, or headings on the paper. For those students who have been taught to use this tool for writing, it is best to teach them to develop their own graphic organizer similar to ones used in the classroom. A student who cannot draw his or her own graphic organizer can have a scribe draw one for them as directed by the student. 48. What options are available when a student is scheduled for more than one State examination in a single day? Postpone one of the examinations until the following administration period. Schools are encouraged to provide review and preparation for affected students prior to any examination(s) that is/are postponed for this reason. When postponing one or more examinations to the August administration period, in order to provide the student with the additional time needed and still have time for scoring, the school must remember that the August examination period is only two days long. No student, whether identified as having a disability or not, should be scheduled to take more than two examinations during the August administration. Consider the option of having the student take a Department-approved alternative test. Many of these examinations are offered several times a year. Information on Department-approved alternative tests is available on the Office of State Assessment’s webpage (http://www.p12.nysed.gov/assessment/hsgen/). 49. What are the consequences if a school fails to provide the testing accommodations required by the student’s IEP/504 plan? The school’s failure to provide the testing accommodations required by the student’s IEP/504 plan may result in the invalidation of the student’s test score. For elementary- and intermediate-level tests, the school would report the test as a misadministration. For secondary-level tests required for graduation, if the student fails the test or is not satisfied with the score, the school would report the test as a misadministration and the principal could request the Office of State Assessment to invalidate the score so that it does not appear on the student’s record. The student will then have to retake the examination during a subsequent administration period. If the student does pass the test and is satisfied with the score, it can be considered a valid score. 50. Will a student’s testing accommodations documented in an IEP/504 plan be available in postsecondary settings? As students with disabilities plan for their transition to postsecondary settings, it is important for CSEs/Section 504 Committees to have documented the student’s use of accommodations. 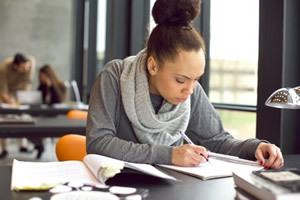 While colleges and universities may or may not allow all of the testing accommodations specified in a student’s IEP or 504 plan, it is important that students have documentation of the testing accommodations used in high school to help inform decisions regarding continued access to accommodations in college and career settings. This documentation will support the student in advocating for his or her accommodation needs in a variety of postsecondary settings. Do … make accommodations decisions based on individualized needs. Don’t … make accommodations decisions based on whatever is easiest to do (e.g., preferential seating). Do … select accommodations that reduce the effect of the disability to access instruction and demonstrate learning. Don’t … select accommodations that are unrelated to documented student learning needs or are intended to give students an unfair advantage. Do … be certain to document instructional and assessment accommodations in the IEP or 504 plan. Don’t … use an accommodation that has not been documented in the IEP or 504 plan. Do … be familiar with the types of accommodations that can be used as both instructional and assessment accommodations. Don’t … assume that all instructional accommodations are appropriate for use on all assessments. Do … be specific about the where, when, who, and how of providing accommodations. Do … refer to state accommodations policies and understand implications of selections. Don’t … check every accommodation possible on a checklist simply to be safe. Do … evaluate accommodations used by the student. Don’t … assume the same accommodations remain appropriate year after year. Do … get input about accommodations from teachers, parents, and students, and use it to make decisions at IEP team or 504 planning committee meetings. Don’t … make decisions about instructional and assessment accommodations alone. Do … provide accommodations for assessments routinely used for classroom instruction. Don’t … provide an assessment accommodation for the first time on the day of a test. Do … select accommodations based on specific individual needs in each content area. Don’t … assume certain accommodations, such as extra time, are appropriate for every student in every content area. The purpose of this chart is to assist in the decision-making process for each student by providing examples of testing accommodations. Not every testing accommodation indicated under “possible testing accommodations” will be appropriate for each student demonstrating a given characteristic. Certain testing accommodations may not be permissible on specific State assessments. Additionally, reformatting requests may need to be submitted to the Office of State Assessment in order to implement some testing accommodations on specific State assessments. Please refer to the School Administrator's Manual for each respective State test (http://www.p12.nysed.gov/assessment/manuals/) and to Appendix J for a chart of allowable accommodations across the New York State Testing Program. May have difficulty concentrating on test items for extended length of time and completing exam in allotted time. May be distracted by other students. May have difficulty following or remembering directions. May have difficulty dividing attention between the test booklet and recording answers on a separate answer sheet. May not be able to complete exam within standard timeframe. May become fatigued and/or distracted. Unable to record or has difficulty recording responses using paper and pencil in standard manner. Difficulty managing or manipulating test materials. Unable to access a computer with standard equipment. Significant difficulty with typing efficiency (speed/accuracy). Difficulty recording answers on a separate answer sheet. Writing tasks completed at a slow rate. Unable to or has difficulty using paper and pencil to solve computations. May not understand what the test requires them to do. May have difficulty remembering directions. Unable to or has difficulty accessing test in standard print format and requires tactile or oral means to obtain information. May have low or limited vision and has difficulty with standard print. Unable to use paper and pencil to solve computations. Difficulty tracking from test to answer sheet. May have low or limited vision and has difficulty with detailed visual tasks, such as printed material, graphs, charts, diagrams, etc. Difficulty focusing on individual items if too many items are presented. Administered medication that may affect the student’s physical stamina. Unable to sit for extended lengths of time without changing position. Due to fatigue, unable to complete the test in the time allotted. Increased fatigue as duration of taking test increases. Reading skills below grade level of test. Unable to access or has difficulty accessing oral directions or listening sections of test in standard manner. Difficulty remembering and/or understanding oral directions. Unable to memorize basic math facts. Verbal description or narration provided for visual display materials; charts, graphs, etc. Adapted measuring devices, such as scales, graduated cylinders, braille/large-print rulers, tactile measuring tools, etc. There should be adequate time prior to the test to allow the interpreter to become familiar with the passage so he or she is prepared to present the information appropriately. Principals may open secure State assessments earlier on the day of administration to allow adequate time. Interpreters must be appropriately qualified and trained. Whenever possible, the “assigned interpreter” should be one with whom the student is familiar and who is familiar with the student. Signs used must not give away nor suggest the correct answer(s) during testing. The accommodation of “tests read” allows students with disabilities that limit their ability to decode print the opportunity to demonstrate content knowledge in all subject areas by mitigating the effects of a reading or print disability. “Tests read” should be a low-incidence accommodation, as it is not effective or appropriate for many students with disabilities. Providing read-aloud accommodations for students who do not need them may have a negative effect on such students’ test performance. Accommodating students with disabilities through auditory presentation of tests does not replace high-quality, specially designed reading instruction by appropriately certified and qualified teachers for such students, nor does it eliminate the need for schools to conduct ongoing assessments (footnote 5) of the individual reading skills of such students, and provide continued instruction on specific reading skills. Students with disabilities who are provided the accommodation of “tests read” on the Grades 3-8 ELA Assessments must still be considered, as appropriate, for academic intervention services (AIS). Evaluative and instructional information that supports the student’s need for the accommodation “tests read” may be considered as a part of the multiple measures of student performance that inform decisions regarding AIS for individual students. Additional guidance on the use of research-based instructional practices in reading for students with disabilities may be found in NYSED’s Quality Indicator Review and Resource Guides for Literacy (http://www.p12.nysed.gov/specialed/techassist/literacyQI-August2014.pdf). Providing the “tests read” accommodation on tests primarily assessing reading comprehension (e.g., the Grades 3-8 ELA Tests or the Reading sections of the NYSESLAT) may not be appropriate for students with moderate reading disabilities who may be provided the “tests read” accommodation in other content areas (e.g., social studies, math, or science). If “tests read” is recommended by a student’s CSE/504 Committee as a testing accommodation for a student with a disability in Grades 3 through 8, the student’s IEP/504 plan must indicate whether it is appropriate to provide this accommodation on all tests (which would include tests of reading comprehension, such as the Grades 3-8 ELA Tests or the Reading sections of the NYSESLAT). Recommending “tests read” on all tests for students in the elementary or intermediate grade levels may be appropriate when the student’s disability-related issues preclude or severely limit decoding skills or print access, even with the use of other testing accommodations. Testing accommodations, including “tests read,” should not be recommended in a test-specific manner, but should describe the conditions and types of tests for which an accommodation must or must not be provided. As with all IEP/504 plan recommendations, testing accommodations must be reviewed at least annually and revised as necessary to meet the changing needs of each student. It is critical that a student’s testing accommodations are recommended based on current information related to his or her present levels of performance. Sample #1: Amaya is a student with a learning disability. She is in 5th grade and has been consistently receiving research-based, specially designed reading instruction by appropriately certified and qualified teachers. Although she has made slow progress since kindergarten, as evidenced by progress monitoring within a Response to Intervention framework and reports on IEP goals and objectives, recent evaluation results indicate that her decoding and fluency skills are significantly below average, at more than two standard deviations below the mean. Amaya prefers to read with the accommodation of color overlays, but even with the use of such accommodations, classroom reading assessments indicate that her instructional reading level is consistent with skills shown by students in first grade. However, when provided auditory accommodations in class, she is able to demonstrate grade-level comprehension and content knowledge. Sample #2: Ben is a 3rd grade student who is blind. He has been identified as a student with a disability and is receiving instruction in braille by appropriately trained and qualified teachers. However, he is not yet proficient in braille, as his blindness resulted from an accident he experienced over the summer. He requires auditory accommodations in order to participate in instruction and assessments involving print. Sample #3: Chava is a 6th grade student who has been identified as having a disability due to “other health impairment.” When she was 9 years old, Chava had a stroke which impaired some skills related to reading, writing, speech, and language. Her writing skills have improved since her stroke, but reading and oral word retrieval remain significant challenges. Chava receives research-based, specially designed reading instruction by appropriately certified and qualified teachers, as well as related services. She has made progress in functional reading skills; however, her decoding skills are still significantly below average, as evidenced by recent evaluation results. Although evaluation results show that her auditory comprehension is slightly below average, auditory accommodations in class allow her to meaningfully participate and progress in grade-level activities and assessments involving text. *The profiles above are fictional. Any resemblance to actual persons or events is purely coincidental. The chart below may be used by school personnel to facilitate collaborative decision-making related to the recommendation of “tests read” (via human reader or technology) as a testing accommodation for students with disabilities in grades 3 through 8. The questions in this tool should be considered each time a student’s individualized education program (IEP) or Section 504 Accommodations Plan (504 plan) is reviewed to determine the appropriateness of this accommodation. After completing the chart, check the box below indicating the recommended testing accommodation for the Committee on Special Education (CSE) or Section 504 Committee to review and consider when developing the student’s IEP/504 plan. This tool is for local use, only. Do not submit this form to the New York State Education Department (NYSED). Is there evaluative information indicating that, even after explicit and systematic reading instruction, the student’s disability precludes or severely limits the student’s ability to decode print? Has the student been provided systematic, explicit, research-based reading intervention(s) to improve decoding skills? If the student is blind or visually impaired, is he or she learning to read braille? If the student is blind or visually impaired, has it been determined that his or her disability precludes or severely limits the ability to access and/or develop proficiency in braille? Is there evidence that the student’s access to and/or performance on print-based tasks improves when information is presented to the student in auditory formats (by way of human reader or the use of assistive technology)? Does the student use read-aloud accommodations during instruction and/or classroom testing (by way of human reader or the use of assistive technology)? Is the student provided instructional materials in auditory formats? Has the student provided input to inform specific recommendations related to the “tests read” testing accommodation? *If the answer to this question is “YES”, and the student also understands sign language, the CSE may consider recommending a sign language interpreter to translate text if appropriate to the needs and skills of the student. ☐ “Tests read” should be recommended for this student on all State and local tests, including tests of reading comprehension. The testing accommodation of “tests read” may be provided to students with disabilities by way of human reader or technology. When a proctor is reading State assessments and examinations aloud to a student(s), the test must be read in a neutral manner, without intonation or emphasis, and without otherwise drawing attention to key words or phrases. Passages and questions must be read word for word, without any clarification or explanation. If the stem of the question and/or the answer choices make reference to part of a reading passage solely as line numbers or paragraph numbers, the reader should re-read the specified part(s) of the passage to the student. The principal should provide the test proctor with an exam booklet no earlier than one hour in advance of the required starting time, so that the proctor can become familiar with the exam before reading it aloud to the student. When reading a mathematics test question to a student who has this accommodation, all numbers and mathematics symbols, along with words, should be spoken by the proctor to the student. For example, the symbol < should be read as “less than,” and 1,211 should be read as “one thousand, two hundred, eleven.” Please refer to the guide provided in the next section on reading mathematics symbols to students. State assessments provided through computer-based testing have text-to-speech capabilities embedded in the testing platform. If a student’s IEP/504 plan specifies “text-to-speech” as a testing accommodation (or an implementation specification for the “tests read” accommodation), the testing coordinator for that school must be contacted to activate this feature for that student. In situations where a paper copy of a State assessment must be scanned onto a school-sanctioned device, in order to be provided this accommodation in accordance with specifications in an IEP/504 plan, this accommodation would be considered “revised format.” For State assessments, any reproduction and/or reformatting of test booklets requires the advance written permission of the Office of State Assessment. A request to open the test earlier to make these changes needs to be submitted to the Office of State Assessment. The request must be submitted by the principal and must indicate that, based on the student’s IEP/504 plan, permission is needed to revise the format. Such requests may be faxed to the Office of State Assessment at 518-474-1989. Audio playback devices may also be used to provide read-aloud testing accommodations for students with disabilities in accordance with the specifications in the IEP/504 plan. In this manner of implementation, a student would listen to the test being read through an audio playback device, rather than through human reader or text-to-speech software. This would require an exam proctor to read the exam in its entirety, following the above procedures, just prior to the administration of the exam. If the testing accommodation is to be provided in this manner, and the proctor will not be able to prepare the recording within one hour of the starting time for the exam, the school must request written permission from the Office of State Assessment to open the exam early in order to provide this accommodation. These requests must be submitted by the principal via fax to 518-474-1989. Under no circumstances, however, is it permissible for State tests to be opened prior to the date of general administration. The device used for audio playback must be a school-sanctioned device, and the proctor’s recording must be deleted after the student has submitted his or her exam materials. Any other features that a text-to-speech software program or audio playback device might have that would provide the student with information or assistance not permitted on State assessments (such as a dictionary, thesaurus, or website) must be disabled if the program is to be used for State assessments. When providing the testing accommodation of “tests read” to students taking a mathematics test, math symbols should be read by the appropriate name. If a student is provided “tests read” on math tests through the use of text-to-speech software, the program should be able to “read” math symbols correctly. The following chart, although not exhaustive, may be used as a guide to reading math symbols. The quantity, twenty-one times three, divided by blank, equals seven. Testing accommodations allowing the use of a scribe may be recommended for students who, because of a disability, need someone to transcribe their dictated responses on tests. Implementing this accommodation generally necessitates the use of an alternate location and extended time. These additional accommodations must also be specified in the IEP/504 plan to be provided. If "extended time" and "separate location" are needed only when the use of a scribe or a recording device is required, that must be indicated so that the accommodations are not provided during other times when not appropriate. Scribes may be teachers, teacher aides, teacher assistants, or other school personnel who are appropriately prepared to provide this accommodation. Scribes must have an understanding of how to record responses using the procedures described and be familiar with the test, including knowledge of the vocabulary used in the test. When “use of a scribe” is indicated as a testing accommodation on an IEP/504 plan, the student may dictate responses directly to the scribe or into a recording device, which may be played back by a scribe for transcription. If a recording device is recommended to implement this testing accommodation, this should be indicated accordingly as an implementation specification in the student’s IEP/504 plan. Scribes must record word-for-word what the student dictates or records. Scribes may capitalize the first letter of each sentence and provide punctuation at the end of a sentence. Scribes must leave out additional punctuation (e.g., commas or quotation marks) and capitalization of proper nouns. A word processor may be used by a scribe to type a student’s dictation, and scribes should write/type a student’s dictation on every other line. When the student’s dictation is complete, the scribe shows the student the written response and asks him or her to indicate where capitalization of proper nouns, additional punctuation, and paragraphing should be used. The student reads the completed dictation/transcription and indicates if there are any further changes to be scribed on the skipped lines. The scribe must then transfer the student’s completed responses into the paper test booklet, and staple the student’s dictation to the paper test booklet. If the student is participating in CBT, the student’s transcribed responses would need to be entered into the CBT platform to submit. Scribes must record what the student dictates on a separate sheet of paper. The scribe should ask the student to indicate exactly where the numbers need to be placed and lined up. The scribe must record the operational sign as dictated by the student (addition sign, subtraction sign, etc.). When dictating numbers, the student must indicate how the number is written and indicate place value. For example, if the student says one thousand thirty-eight, the student should specify how that is written: one, zero, three, eight. When computing a problem, the student must indicate to the scribe how he/she is computing and should be specific in terms of what numbers to write down, including carrying. For example, when adding 23 and 9, the student should indicate 9 plus 3 is 12, put down the 2 and carry the one above the 2. The scribe shows the student the written response and asks him or her to indicate if there are any further changes to be made. The student does not have to provide spelling and punctuation in word responses. The scribe must transfer the student's completed responses into the test booklet and staple the student's dictation to the test booklet. Multiple day test administration is a testing accommodation designed to permit students who, because of their disability-related needs, are unable to complete a State assessment (footnote 7) in a single day or testing session. The determination of a student’s eligibility for this testing accommodation must be made, and reviewed annually, by a student’s CSE or Section 504 Committee on a case-by-case basis in consideration of the student’s unique educational needs (e.g., the student experiences fatigue due to health issues). It is also appropriate to consider this testing accommodation for a student with a disability who has extended time as a testing accommodation in his/her IEP or 504 plan when the student is scheduled to take more than one State assessment in a single day. This recommendation must be made in consideration of the State assessment schedule for the year the student’s IEP or 504 plan will be in effect. The CSE/Section 504 Committees are the only entities that may determine that a student needs administration of a State assessment over multiple days. If the CSE/Section 504 Committee recommends multiple day testing, it must be documented under the “Testing Accommodations” section of the student’s IEP or the appropriate section of the student’s 504 plan (e.g., “test administration over multiple days” or “multiple day test administration”). It may also be appropriate to indicate the conditions or types of assessments that require this accommodation. For example: a student with a seizure disorder may need multiple day test administration in the event he or she experiences a seizure on the day of the test; or a student who receives extended time may need this accommodation for State assessments whose standard administration time is longer than two hours. Prior to the administration of the assessment, the Chief School Officer (or his/her designee) must complete and submit an Assurance of Multiple Day Administration of State Assessments for each student in the school whom the CSE/Section 504 Committee recommends for multiple day administration on State assessments consistent with the student’s IEP or 504 plan during the school year. The Chief School Officer (or his/her designee) must also certify in this Assurance form that the school will comply with procedures governing the administration of State assessments over multiple days. When a completed Assurance form is received by NYSED, Department authorization to administer State assessments to the student over multiple days will be sent to the school. Department authorization for the school to administer multiple day testing to an individual student will apply to all subsequent State assessments for that student administered in that school without the submission of additional Assurance forms to NYSED. However, if a student for whom a school was authorized to administer State assessments over multiple days transfers to another school, the student’s new school would need to submit an Assurance of Multiple Day Administration of State Assessments if the student is recommended for multiple day testing in accordance with his or her IEP or 504 plan. A copy of a completed Assurance form should be retained in the student’s permanent file for the purposes of data collection and/or monitoring. Additionally, schools must ensure that security certificates are completed and signed for each student receiving multiple day testing. These certificates must be completed after each administration period. The signed security certificates must be retained in the student’s permanent file in the school district after each test administration period for the purposes of data collection and/or monitoring. Security certificates are not submitted to NYSED. Each secondary-level examination must begin on the date scheduled by the Office of State Assessment for its general administration. At the elementary and intermediate levels, the assessment must begin on a day within the approved testing window, as determined by NYSED, for the assessment of the same title for all other students. In the event the student has more than one State assessment scheduled on the same day, all State assessments must begin on that day. Students must receive the amount of extended time indicated in their IEP/504 plan to complete the examination or section(s) administered during a given day. Just prior to beginning a multiple day administration of State assessments, the school must separate the examination into clearly defined sections or parts. NYSED does not define the size or contents of test sections for the purposes of multiple day test administration. Decisions on how to separate tests for a student receiving multiple day testing are made locally in accordance with the individual needs of the student. Students may be given individual sections to complete one at a time and may be permitted to start additional sections only if they are expected to complete all of those sections on that day. This ensures that there will be no advance knowledge of upcoming sections and content of the assessment not completed on a single day. Students who do not complete a section of the test on the day it is started are not permitted to complete that section on the following day. (Students may be given a photocopy of previous sections they have completed, provided that these sections are part of what is ordinarily completed by students in one session, so that they have access to information in these sections, but no changes may be made to student responses provided on any section started on an earlier day. Additionally, any portion of the test that a student has not completed may not be photocopied). If photocopied test sections were provided to the student as described above, all photocopies must be attached to the student’s completed test and submitted with all required testing materials. On subsequent examination days, the student will be given additional sections to complete. These sections must be provided one at a time. In accordance with NYSED policy and Education Law, the principal is responsible for the secure handling, storage, and administration of all State assessment materials, including overnight storage. Policies governing these aspects of test administration are provided in all elementary-, intermediate- and high school-level School Administrator’s Manuals (http://www.p12.nysed.gov/assessment/manuals/). The school will comply with the procedures governing the administration of State assessments over multiple days. I, ______________________________________, as the parent/guardian of _________________________________ who attends _______________________ School, do certify that ________________________ was not given access by me to any of the questions on the following assessment(s) prior to the date administered. I further certify that I spoke with my child prior to testing and informed him or her that he/she was not to discuss any aspects of the test with fellow students until testing was completed. This form must be retained as part of the student’s cumulative education record. This form is optional and for local use, only. Do not submit to the New York State Education Department. This form may be modified and duplicated for local use. Directions: Complete this form in the event that a student refuses a testing accommodation(s) during testing. This form may be retained and filed in accordance with local policy. This chart was developed as a general reference tool on whether specific testing accommodations are permissible on NYS tests. Testing accommodations that are allowed for use with students with disabilities on certain NYS tests are indicated with “Y” (YES); testing accommodations that are not allowed for use with students with disabilities on certain NYS tests are indicated with “N” (NO). Numbers used in the chart reflect specific grade levels which apply to the accommodation indicated. Please be advised that the list of testing accommodations included in this chart is not exhaustive. Additional information on the permissibility of specific testing accommodations is included in the School Administrator’s Manual for each NYS test noted in the chart below. School Administrator’s Manuals are available on the Office of State Assessment’s webpage (http://www.p12.nysed.gov/assessment/manuals/). * Requires the advance written permission of the Office of State Assessment to reformat the test to implement this testing accommodation. ** Braille and large-type test booklets are available for all assessments and exams and may be requested through the online examination request system. † Requires that specific documentation is submitted to the Department. Please refer to Appendix H: Administering Tests Over Multiple Days. Footnote 1: National Center on Education Outcomes, “Accommodations for Students with Disabilities” (https://nceo.info/Resources/publications/TopicAreas/Accommodations/Accomtopic.htm). Footnote 2: Students with disabilities who first enter grade 9 in or after September 2001 and prior to September 2011 who do not pass a Regents Exam in a particular subject area are eligible to take a Regents Competency Test (RCT) in that subject area. Footnote 5: For local assessments, screenings, or individual evaluations designed to measure specific reading skills for the purposes of determining eligibility for services or informing reading instruction, reading such assessments to students may not yield valid results and may affect the student’s identification for appropriate services. Footnote 6: Generally, for the Grades 3-8 ELA Assessments, waiving spelling, capitalization, punctuation and/or paragraphing requirements is not permitted. However, students participating in the Grades 3-8 ELA Assessments who are blind and require the use of a scribe do not need to provide capitalization, punctuation, and/or paragraphing when following the procedures to use this accommodation. For this specific population of students, the scribe may provide these areas of written mechanics and formatting. Footnote 7: The term “State assessment”, as used throughout Appendix H, refers to all State assessments and examinations at the elementary, intermediate, and secondary levels.